Buying a house is a huge decision! But building a house is a gigantic decision! So how do you decide? We didn’t know nearly 4 years ago when we started our money saving process that we would build our dream home. In fact, at the time we actually planned to buy one! We even went as far as to make an offer on what we thought was our dream home. Thankfully, we wound up purchasing a starter/rental home instead. Knowing what I know now compared to then I’m glad we didn’t get that house; at the time I was a bit disappointed but decided to trust God and choose wisdom over wants. But we still thought we were going to buy our dream home. After a little more than 3 1/2 years and living in 3 different houses (technically one was an apartment) we made the decision to build. We spent 6 months searching for our dream home and finally realized it didn’t exist. 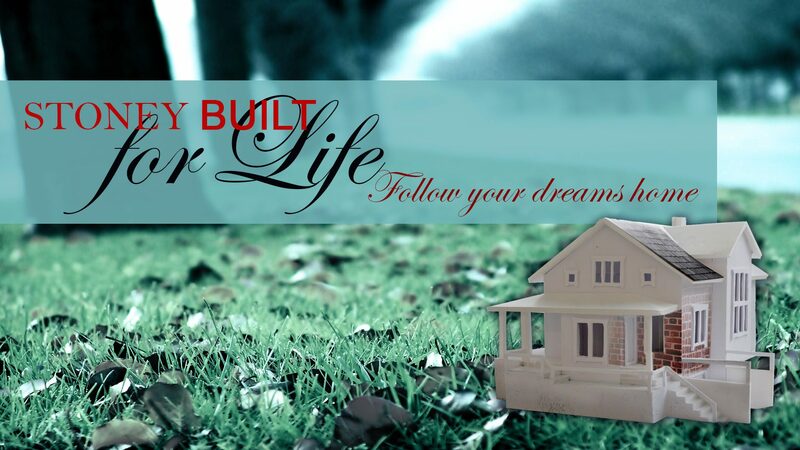 We would have to build our dreams from the ground up to get what we desired in our forever home. My husband started a new business in 2015 and it has done well and he now makes more than $13/hour! However, because his business is still in the growth stage, his salary is still relatively minimal. I got a new job just under a year after we moved that was also a raise for me. My grandmother started an investment account for me when I was a child that grew into enough for a 20% down payment on a modest starter home (If you can do something like this for your grandchildren, please do!). Living frugally and practicing money saving habits has become part of our lifestyle. We purchased a flip that we ended up moving in to for 2 years which will help us pay off our dream home faster. Plus, we had roommates for a year. After all this and months of searching we finally decided to build. Below are the questions we asked to determine if we could make our dream into a reality. Do you already own property or have enough money to purchase a lot? You have to own the land you plan to build on outright (that means no financing the land). Property costs differ greatly across the country from <$10,000-$250,000+/acre. So reach out to a local real estate agent and find out the cost of lots in your area so you can make an educated decision. Are you in a hurry? Building takes time, this is not a great choice if you want to be moved in and comfy in the next 6 months. First you have to find an architect and general contractor (aka builder). Next your architect will create the plans, then you will spend a while finalizing everything (1-3 months). Once complete, you have to submit for permits. All before even breaking ground! If you are planning a fully custom home this process can take even longer! Depending upon your area home building can take 9 months to 2 years (or possibly longer if unexpected occurrences pop up). What’s your budget and is it flexible? Building and buying can be comparable or one may be much more or less expensive than the other depending on your area. We had to add the cost of land to our home budget to be able to build; which meant our total budget had to increase by about 20%. Does your budget allow you to build or is it better to buy in your area? How good are you at making decisions? Because you will have to make a million decisions over the next 1-2 years during the building process. If you aren’t confident in your decisions and you change your mind later in the process that can increase cost and eat up your budget. The decisions range from picking a floor plan to bedroom sizes to flooring types to paint colors to appliances to should you do things that add resale value or take away value and on and on and on and on (no this isn’t journey singing, it’s your home building process ringing in your ears). Knowledgeable builders can help answer questions surrounding some decisions but others you will just have to make yourself – and all before you move in and get a feel for the space. Do you enjoy the details? Because there are a lot of details. Like where to place outlets or how deep you want your cabinets. If you are detail oriented home building may be exciting for you, but if you feel lost in the details it may become frustrating. This is a good place to mention attention span as well – the excitement of buying a new home is quick and can feel rushed and euphoric. While I’m hoping for that on our first night in our new home – I have to realize that’s nearly 2 years away and there is a lot to accomplish between now and then. After considering these 5 things and lots of discussion we decided to look for property. Our first day searching for land we visited 3 lots and were very unimpressed. We stopped by my husband’s office and we discussed our lack of options with some of his business contacts. They had another lot they recommended to us so after lunch we drove out to see it. It was our lot! We didn’t know right away but we couldn’t find anything we didn’t like about it. After 6 months of searching for a house we found land to hold our dream home on our very first day. If that doesn’t show you some things are meant to be, I don’t know what will! Doesn’t look like much right now. So what do you think, is buying the right choice for you?